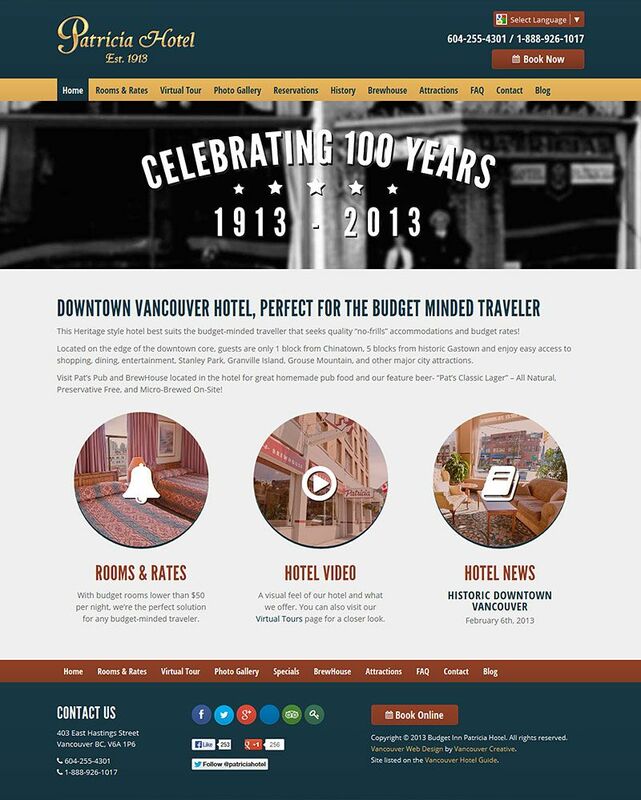 The Patricia Hotel is a budget minded hotel located on the edge of Vancouver’s downtown core, it has a unique heritage-style decor and is a popular accommodation for tourists. They required a Responsive update to their existing WordPress website to allow their mobile traffic a better experience. In this situation we went above and beyond the call of duty by providing a full hotel booking engine to help them maintain their online reservations.